Killing all the speculation about their new flagship of galaxy range, Samsung launched its device Galaxy S7 just before the Mobile World Congress and started the year with bang. Like earlier version of Samsung Galaxy S6, Galaxy S7 has also been launched in two variants one as regular (without edge) and another with edge. With some great features and improvements, Galaxy S7 looks more promising then its earlier version. In Design department not much has changed compared to Galaxy S6 but when you compare it with specs and performance, Galaxy S7 is totally of different generation. Today in this article we are going take a look on the Samsung Galaxy S7, and will try to understand how different it from the earlier version of its family. Differentiating from the last year phones, this year’s models are differently sized. The Samsung Galaxy S7, like the SGS6, is a 5.1-inch phone, while the Galaxy S7 edge has had a jump to 5.5-inches. 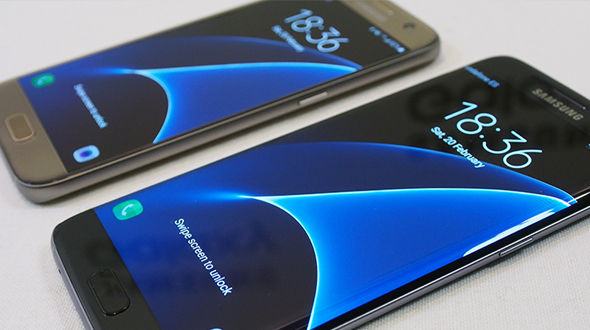 One of the major design changes compared to S6, Samsung Galaxy S7 has got rid of the sharper edge and flat back of the Galaxy S6 edge, replacing it with a curved rear that wraps around to meet the edges of the curved screen. It feels quite awesome while holding the device in the hand. When compared between S7 and S7edge, S7 edge feels more premium then S7. In dimensions and weight terms, the Galaxy S7 is 142.4 x 69.6 x 7.9mm and weighs 152g. The Galaxy S7 edge is 150.9 x 72.6 x 7.7mm and weighs 157g. In the display department Samsung Galaxy S7 has got the 5.1 inch display where S7 edge has got 5.5 inch display with display resolution of 2560 X 1440 Quad HD. 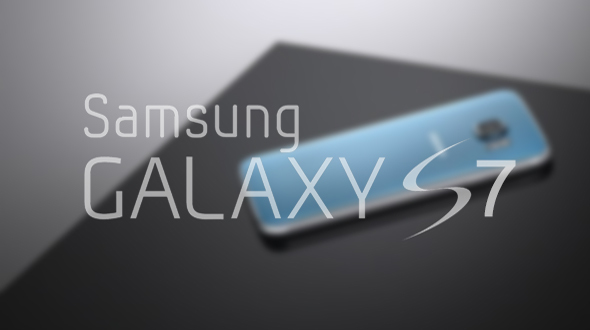 As of the information available, Samsung claims that this year galaxy will run 30 times faster than the last year one. Keeping the gamers in mind, to avoid heating Samsung has given 0.4mm water tube inside the phone. Now the Samsung Galaxy S7 and S7 edge is not afraid from the water, with IP68 now it can survive in 1.5 meter of water for 30 minutes. Removing the complain of Single SIM and no expendable memory, this year Samsung has introduce a hybrid SIM tray which can take a SIM or memory card like Galaxy A series. According to earlier report phones are expected to have 4GB of RAM, but still the official announcement is awaited. In the battery department, Samsung Galaxy S7 has a 3,000mAh battery, while the Galaxy S7 edge has a 3,600mAh battery. According to Samsung it is cable of playing 13 hours of HD Video. The Phone is equipped with the fast charging technique. Samsung Galaxy S7 and S7 edge runs on the latest version of the Android, Android 6.0. Samsung Galaxy S6 was equipped with one of the best camera in its class, according to Samsung it has been further improved in Galaxy S7 Series. Although the amount of megapixels to be found on the sensor has actually dipped – to 12-megapixels – each pixel is larger this year (1.4um) so is capable to reading more light in any given situation. An aperture of f1.7 has also been achieved. The front-facing camera on both devices uses a conventional 5-megapixel sensor, but also with an f1.7 aperture. Samsung Galaxy S7 & S7 edge will be launched on 11th March.